Implantable cardioverter defibrillators (ICD) protect from sudden cardiac death (SCD). In infants and young children, ICD implantation and programming is challenging due to small body size, elevated heart rates, and high physical activity. We report our experience applying a non-transvenous ICD (NT-ICD) system to infants and children < 12 years of age and < 45-kg body weight. Between 07/2004 and 07/2016, NT-ICD had been implanted in 36 patients. Nine out of 36 patients (25%) had NT-ICD implantation for primary and 27/36 (75%) for secondary prevention. Underlying diseases included inherited primary electrical arrhythmogenic diseases (n = 26; 72%), cardiomyopathies (n = 8; 22%), and congenital heart defects (n = 2; 6%). The median (interquartile range) age at implantation was 6 (1.9–8.4) years, and the median body weight was 21.7 (11.2–26.8) kg. Three different NT-ICD implantation techniques had been applied over time: (1) abdominal device/subcutaneous shock coil, (2) abdominal device/pleural shock coil, and (3) subcardiac device/pleural shock coil. During median follow-up of 5.2 (2.7–7.2) years, appropriate ICD discharges were documented in 12 (33.3%) and inappropriate shocks in 4 patients (11.1%). In 12/36 individuals (33.3%), a total of 25 surgical revisions were required due to NT-ICD malfunction. Eighteen out of 25 (72%) surgical revisions were necessary in patients with subcutaneous shock coil/abdominal device position. 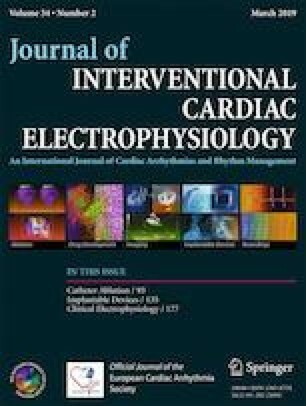 Surgical revisions (3/25, 12%) were significantly reduced (p < 0.001) after modifying the implantation technique to subcardiac device/pleural shock coil. NT-ICD was safe and effective in infants and young children. Appropriate ICD discharges occurred in a considerable number of patients. After modifying the implantation technique, the need for surgical revision could significantly be decreased. The study was approved by the institutional review board and fully complies with the Declaration of Helsinki.